Combine 5 cups of playsand and 1.5 cups corn starch in a plastic bucket. Add liquid dish soap in the sand mixture, mix well. Slowly stir in water until moisture is evenly absorbed and distributed. Kinetic sand is ready for play. 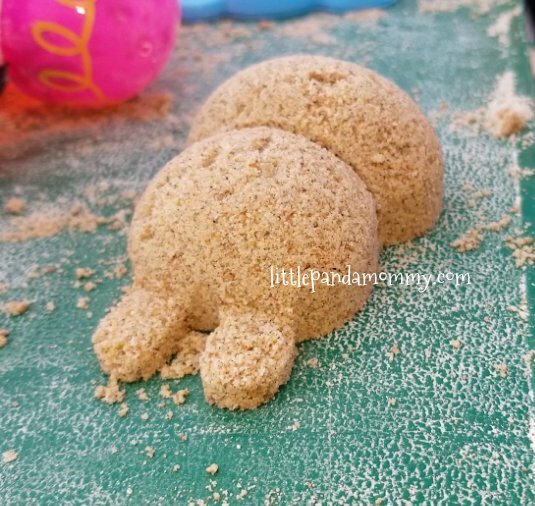 Kinetic Sand is moist to touch but nonstick, easy for molding. If you cut the molded sand with a plastic knife, the sand will slowly slide down. If kinetic sand is too dry, add water 1 tablespoon at a time and stir well, until desired consistency. If kinetic sand is too wet, add corn strach 1 tablespoon at a time and stir well, until desired consistency. Mold it with molds, e.g. bunny mold, turtle mold or castle mold. Unleash your creativity, use it as play-clay to create all kind of shapes and creatures. Molded and cut it with a plastic knife. Use your hands to shape it, press it down or crumble it, feel the kinetic sand flowing through your hands and how it touches your skin. Strengthen children sense of touch. Increase hands’ and fingers’ dexterity, great for hand-eye coorindation practices. A game to play standing up or sitting down. A sole game or play with family and friends. Use it as stress ball, grab a handful of sand and form a ball, press it or crumble it with your hands. Mold sand with a sand mold, use plastic knife to cut and slice through molded sand slowly. Observe and enjoy the sand slow sliding movement, it will calm the mind. Sit and watch the kids play, no running or chasing with sweats, enjoy the peaceful moment and happy faces on your children. Unleash your imagination and create interesting and unique things with your children. Play sand at home, no need to take a trip to the beach. No sun damage (no sunscreen re-application) to worry about, hours-long play time for continuous fun. Through playing together, you can understand your children better, improve family communication and strengthen the bond. Playing kids are happy kids. Tired kids after play time go to bed without a fuss, free up night time for parents to relax. 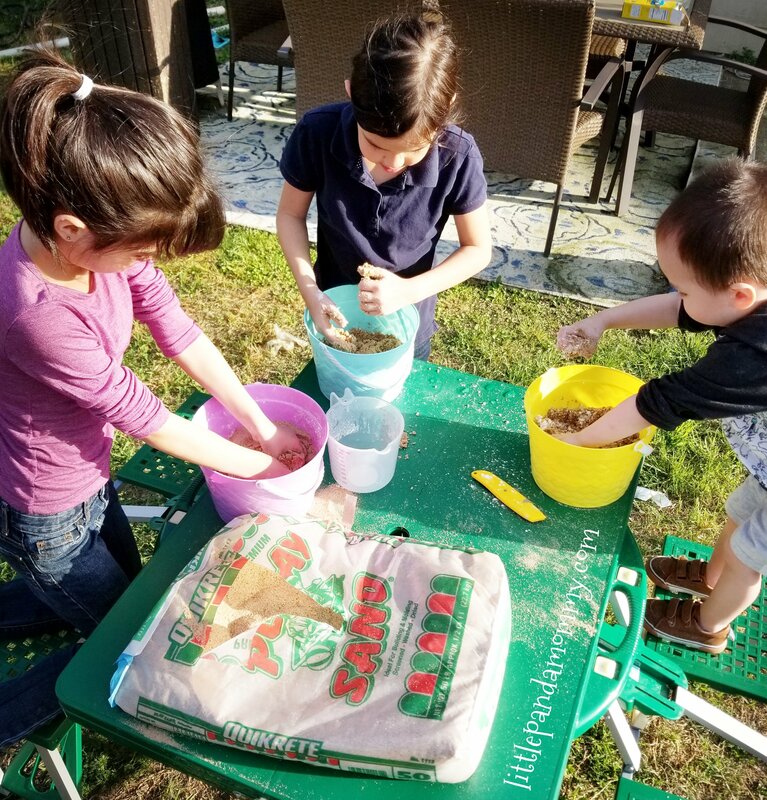 During kinetic sand playtime, the fine sand rubs against the hands and exfoliates the dead skin away.